The thought of a Bosphorus cruise in Istanbul did not fill me with excitement. Winter is not the ideal time to be sitting on a boat, shivering with cold. However, every Istanbul travel expert recommended it as a “must do activity” so it was on my bucket list. The problem was the cost. Local agents sold tickets priced at fifty Euro or more. They promised an elaborate dinner and an evening show but I was on a budget. Then while wandering around the fish boats of Galata Bridge, we saw a ferry sign. A short two-hour Bosphorus cruise was only 12 lira (6 USD or 4 UK pounds on average). We jumped on board and after filling with passengers, the ferry slowly backed away from the harbour and departed on its journey. The décor and seating was bland and uncomfortable, the coffee served by the café was vile, and the itinerary listing all major shoreline landmarks blasted loudly over the speakers in Turkish, ensuring I could not understand a word. It started raining and many of my photos were marked with water drops. 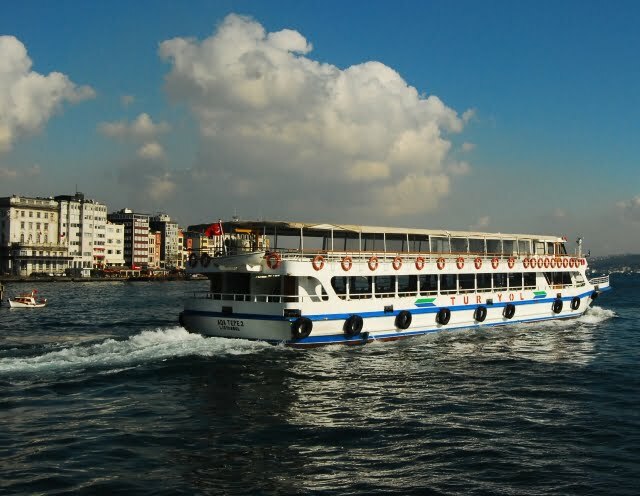 Yet this simple cruise was one of the satisfying excursions I have completed in Istanbul. I even adored the mischievous seagulls that followed the boats waiting for customers to throw bread in the air. So what changed my opinion? This Bosphorus cruise in Istanbul enhanced my intrigue and obsession with the former capital of the Byzantine and Ottoman empires. 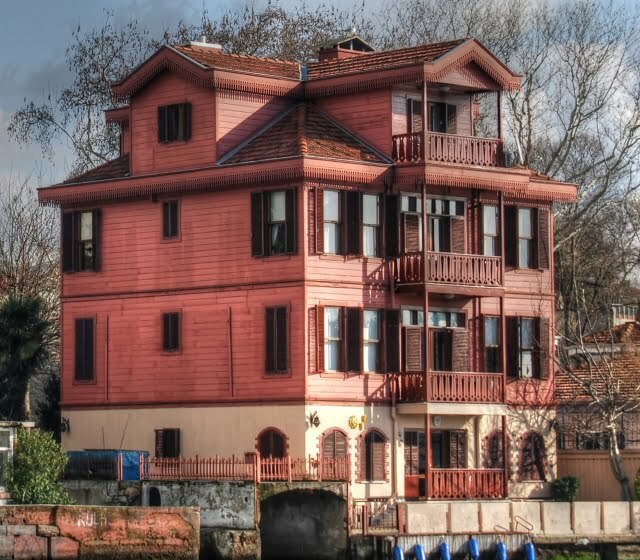 On the shore banks stand hundreds of ancient and modern landmarks that cannot be ignored by any Istanbul enthusiast. We also passed numerous neighbourhoods, all respected by locals for one characteristic or tradition. For someone who considered herself an expert in Turkish travel, I learned more on that short cruise than I did on two previous city breaks. My shame at ignoring the importance and history of one of Istanbul’s most prominent locations was kept to myself. This 31-kilometre strait of water is the boundary between East and West. It has always and still is, an important strategic point for governments, empires, business and warfare. Allied powers fought for it in the First World War, and failed miserably causing many casualties at the Gallipoli campaign. The Russians launched many operations to gain control of it during the latter 19th century and presently many oil tankers from the East travel through there on their way to the West. Transportation plans by the government are always on the books and the latest project is to build a third suspension bridge over the strait that connects the two continents. The Yali houses are the most impressive and dominant shoreline landmarks. Built during the Ottoman Empire, their architectural styles blend discreetly into the scenery. 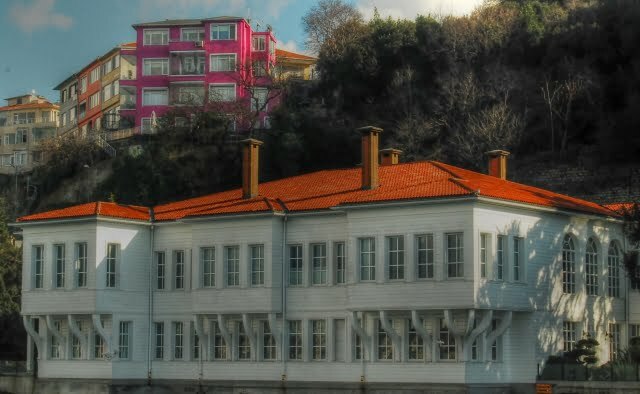 Often made from wood, they were the summerhouses of rich Ottomans and notable properties include the yali of Huseyin pasha built in 1699 and the Erbilgin Yalisi, listed as the fifth most expensive house in the world when it went on sale for 100 million USD. 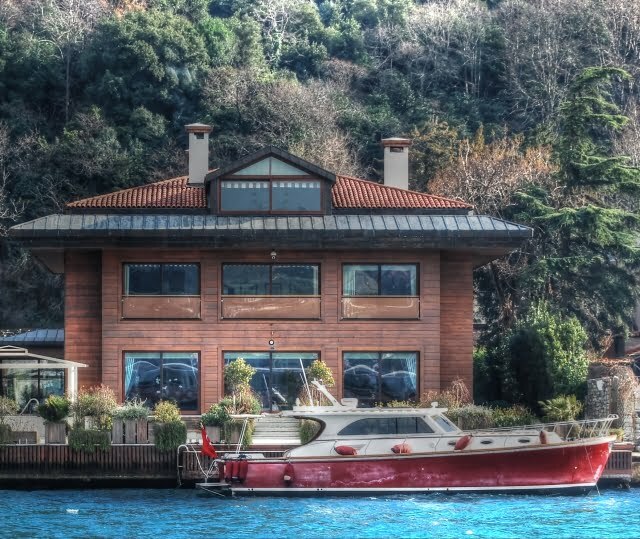 Many yali houses are still occupied and in front of them sit luxury yachts, owned by rich people who can afford a property on one of the most important water straits in the world. Topkapi palace was the first home for the Ottoman sultans and was built in its location because the rich and elite favoured sea travel. 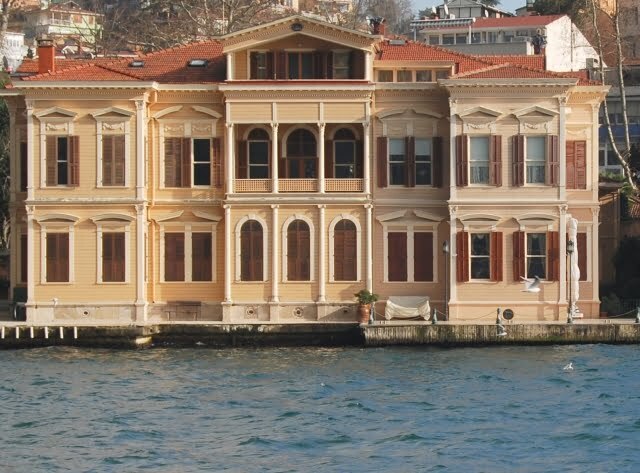 However, when they grew tired of its out-dated architecture, Ottoman rulers then built a second palace called Dolmabahce in the Besiktas district.From the cruise boat, the obvious neoclassical architecture style, which was a first for that era, is seen plainly in the exterior façade. 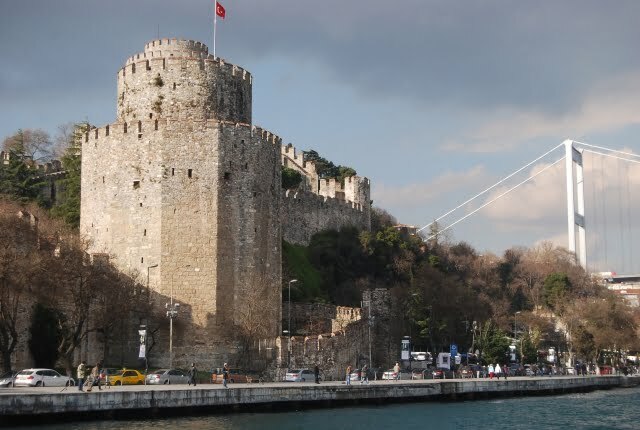 Prominent mosques such as Ortakoy and old castles like Rumelian castle also complete the generic makeup of the Bosphorus. So, now I have to make a humble apology for underestimating the importance of the Bosphorus, not because of its strategic importance but because of its ability to portray modern day and historical Istanbul. 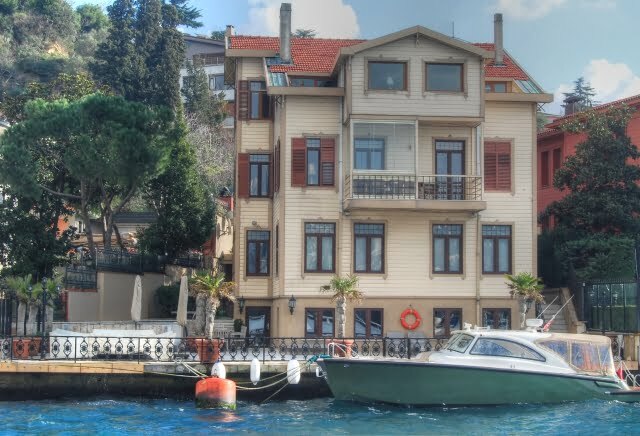 Although, I ticked a Bosphorus cruise off on my bucket list, I added many more items to it including local neighbourhoods that need to be explored. If you thinking of a city break in Istanbul, read this previous article on why I strongly recommend you do it. Alternatively, if you are already booked for a city break, do not forget to cruise the Bosphorus. 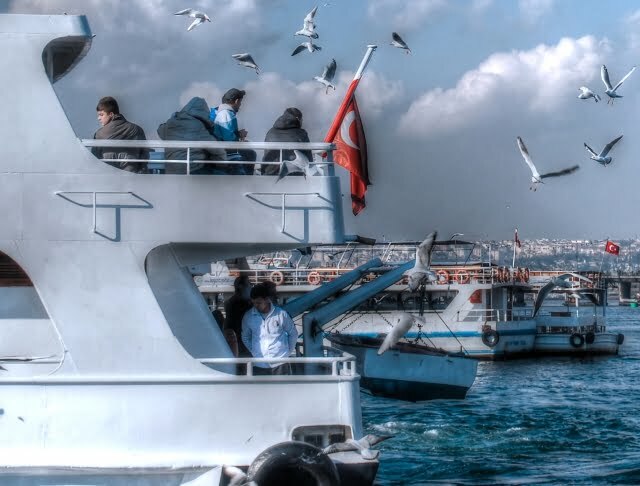 The cheapest way is to use ferries departing from Eminonu throughout the day. Most travel agents also sell luxury packages including dinners and entertainment. Some of the old yalis have been renovated and turned into luxury boutique hotels. 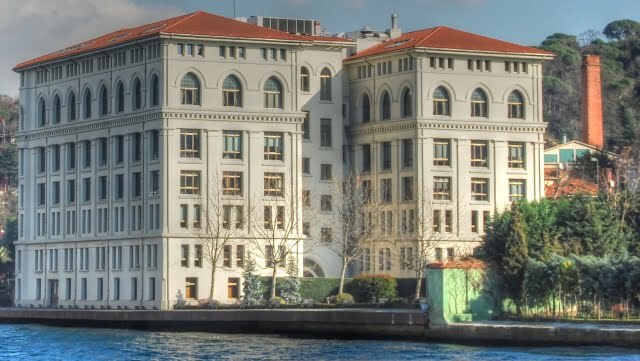 One night in the Presidential suite of the Les Ottoman Yali will set you back a massive 8896 Turkish lira (Approximately 4000 USD or 2700 UK Pounds). 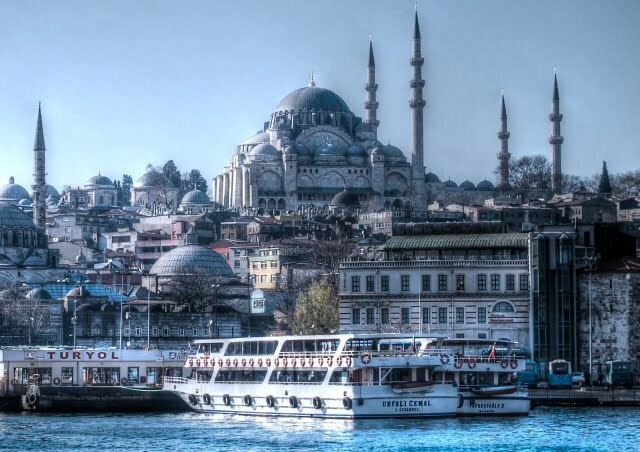 Have you been on a Bosphorus cruise in Istanbul? If so, how much did it cost and did you enjoy it? What a wonderful story. Istanbul is one of the cities I want to visit – take a longer time there. Great recommendation in what the short cruise is concerned. Loved the photos too, and the blend between data, historical facts and images. The palaces are stunning! They instantly reminded me of St. Petersburg, even though architecture there tends to be more opulent. The “water palaces”, that´s what I got used to call them, were my favorite thing when in Russia. I had the opportunity to see them during white nights period, so I guess that´s why the memory is so persistent. I see Turkey should be next on my list, I´ve always liked the way it´s presented as being on the crossroads of two continents.. If you want to live and breathe history what better place than Turkey, right? Thanks for the inspiration. Cheers, Adam. I did a cruise on the Bosporus years ago and I loved it. Your photos are gorgeous, that first photo is just stunning. Beautiful photos! Definitely not the usual suspects when I see photos of Istanbul. It certainly seems like the cruise should be a must on every Istanbul itinerary. It’s funny how you can take part in an single activity and have it change your perspective. The photos are stunning as well! When ottoman time Bosphorus wasn’t so popular. Sadabat (at Kagithane) was popular than Bosphorus. Yali’s generally was build bu Sultan’s wife. Gorgeous photos totally convince me! I’d love to do such a tour. I loved taking the passenger ferry across the Bosphorus to Kadikoy when I was living there but never tried any of the tourist cruises because of their prices 🙁 Thanks for sharing, but damn you for not sharing sooner! 🙂 I hope this one will still be available and cheap next year when I come back. We took a cruise of the Bosporus in the summer of 03 on a stop on a cruise on the Golden Princess. We expect to be back there about a year from now and may well choose to do another one. It was magnificent, and even happened to be on our wedding anniversary, so was particularly significant. Those houses are pretty great…it’s the equivalent of a Hollywood celebrity neighborhood tour, 400 years later. I wonder why anyone would want to see a “show” on board a boat in the Bosphorus. To me, the scenery and history IS the show. Thanks for posting. I enjoyed the images of the architecture. Nothing like this in Utah, USA! Amazing recommendation, review and truly briliiant and inspiring accompanying photographs! I would love to take you up on it and can’t help but think that Istanbul is one of the most beautiful city’s in the world! What a feast to the eye Natalie, one of my favorite parts of Istanbul is the Bosphorus; simply breathtaking. For me the best way to enjoy it is through ferry / vapur. 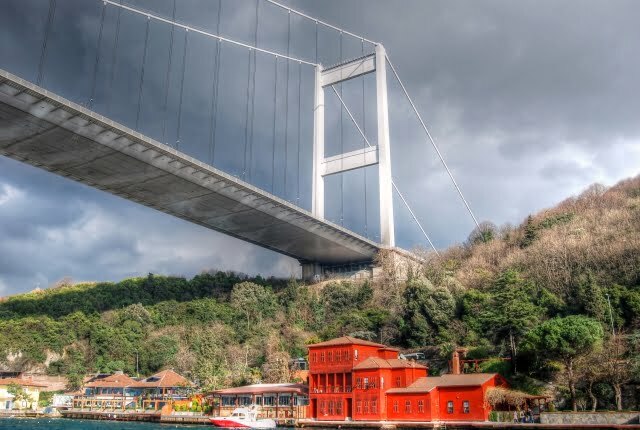 You don’t get the commentary but you are a part of the local scene, and ferry zig zag between both sides of the Bosphorus in a leisurely way, and it is at a fraction of the cost. In 2010 I took a tour to Anadolu Kavagi….It was a chance to me to see not only two sides of Bosforus but rest of bizantine fortres in Anadolu Kavagi and Black Sea shore also…it was about 5 hours tour and cost 20 TL. One thing to avoid are the touts selling 3 hour trips including a stopover of one hour at 20tl+, the “Stopover” consists of being disembarked on the shore for an hour in a park by the side of a busy road with nothing to do for an hour until the boat returns. These are usually done by small private boats and it may be necessary to wait for a long time until they have sold enough tickets to make the journey financially viable. Some touts are from the larger boats but it is not possible to tell one from t’other. Better to walk along to Gallata Bridge where the big boats are moored and see which boat has passengers on board as they will be first to leave. These boats don’t stop off anywhere but do a round trip of an hour and three quarters for 12tl. The boats pass under the Bosphorus Road bridge which is of interest to me personally as it was built in Darlington, my home town by “The Cleveland Bridge and Engineering Co.”. Like you Natalie, many visits to Istanbul have never involved the Bosphorous Cruise tour, although last year my friend had his birthday celebrations on one of the dinner boats which he privately leased. Nothing much to see in the dark however, and anyway too much eating and drinking going on. So it is with regret that I have never seen the sights that you describe although have promised myself for the next visit there. WOW…Impressive photos, despite the rain! Glad to hear you were able to learn a few new things and find a newfound respect for the Bosphorus. Guess there is always more to see in Instanbul no matter how long you have been there, huh?